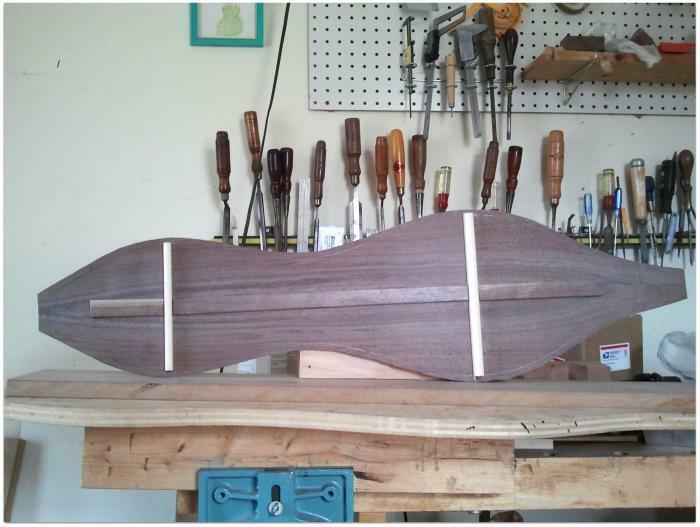 Last night and this afternoon I found myself bracing the back of a custom walnut dulcimer. I turned around and there I was. It was kind of strange and startling but at least I was getting some work done. But seriously folks, here are some photographs of a cute little plane I use to rough shape braces. I love those little spruce curls! 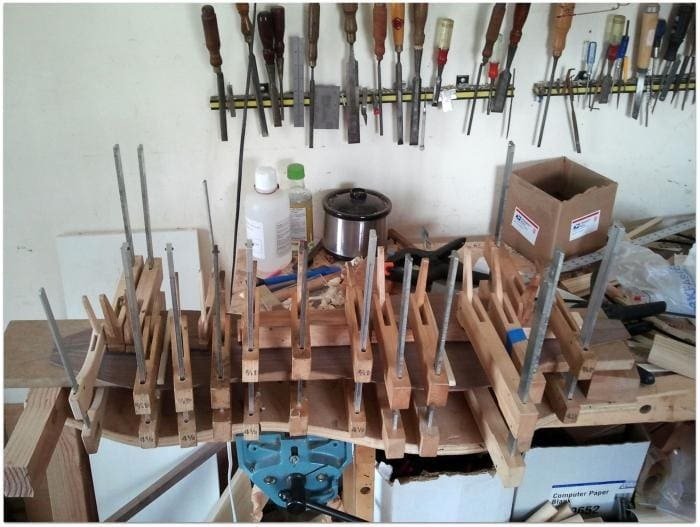 I don’t have a set bracing pattern for dulcimer soundboards and backs. I also don’t have a standard thickness for tops and backs. Thicknesses of tops and backs and the number and sizes of braces depends on the particular pieces of wood I am working with. As a dulcimer comes together I make decisions and adjustments to achieve the resonance I desire. I enjoy this process immensely. After shaping the back braces I glued in the center reinforcement; a brace that strengthens the center joint of the book-matched back and adds stiffness to the back lengthwise. A few hours later the back is ready to be fitted to the dulcimer. 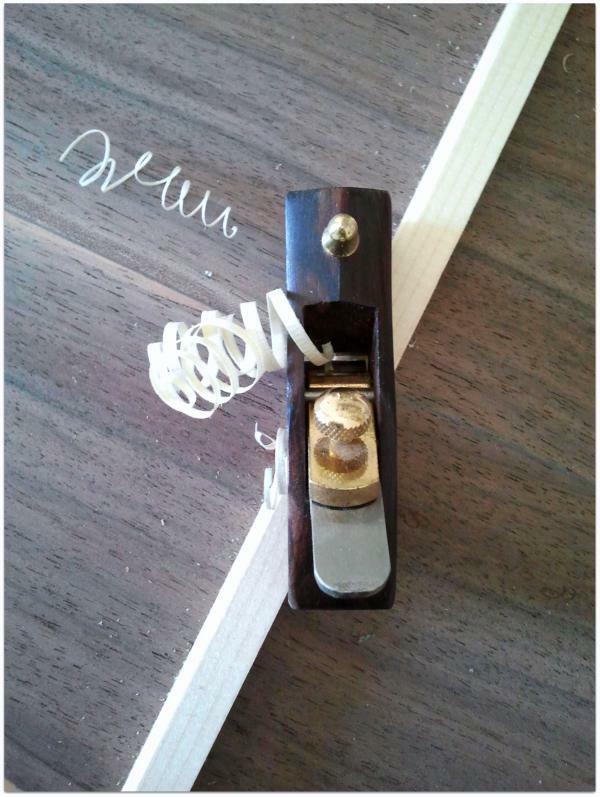 Another note to self…don’t forget about the pick-up before gluing the back :). It’s beautiful! No worries! 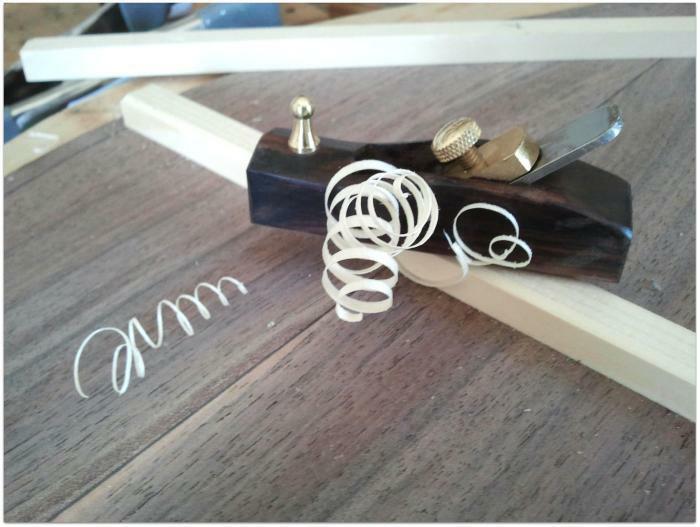 Hole is drilled in the endblock and the pickup is sitting on the bench to remind me it needs to go in! Is this how they make lemon twists for martinis?